The wrapper is made from Cassava flour and arrowroot powder - and Cassava flour is easily the most expensive gluten free flour I have ever purchased! Arrowroot reminds me of xantham gum and it gives the dough its chewy/springy quality in absence of the gluten. It was easy to work with albeit a little bit tacky, but nothing that parchment paper couldn’t help with. Verdict: Close….but not quite. 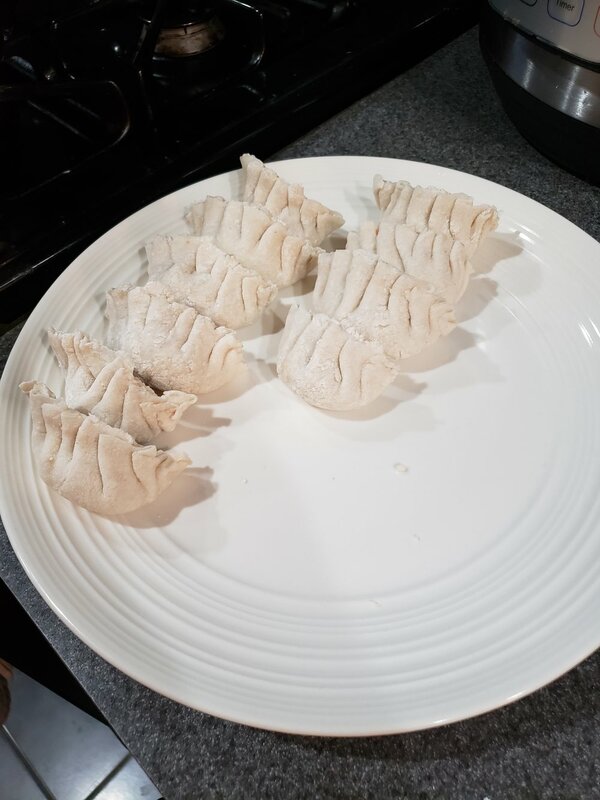 The filling was excellent - but that’s not the gluten free concern ;) The wrapper itself while it seemed promising in the pre-cooked phase, came out much more chewy/thick than anticipated. 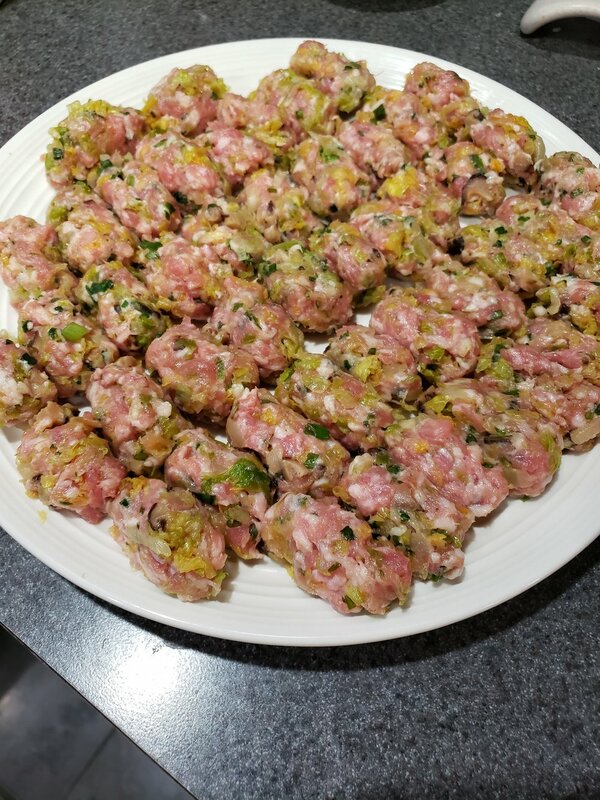 It felt like too much wrapper for the filling when eating it - but when rolling it out, I don’t think I could have made it any thinner without ripping issues. 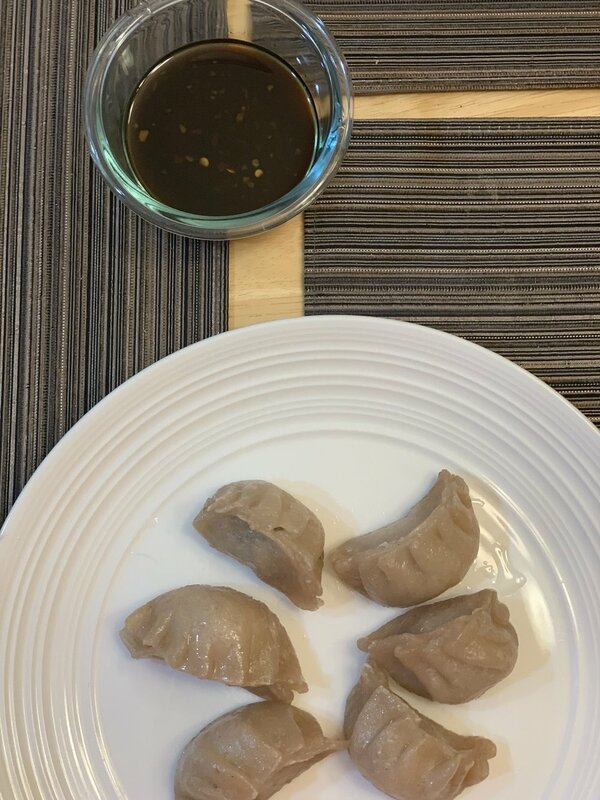 For someone that has had the pleasure of eating real dumplings, this pales in comparison, but if it’s all you’ve got - then I’d say it gets an A-OK (in the Yelp world that’s 3/5 stars, right?). 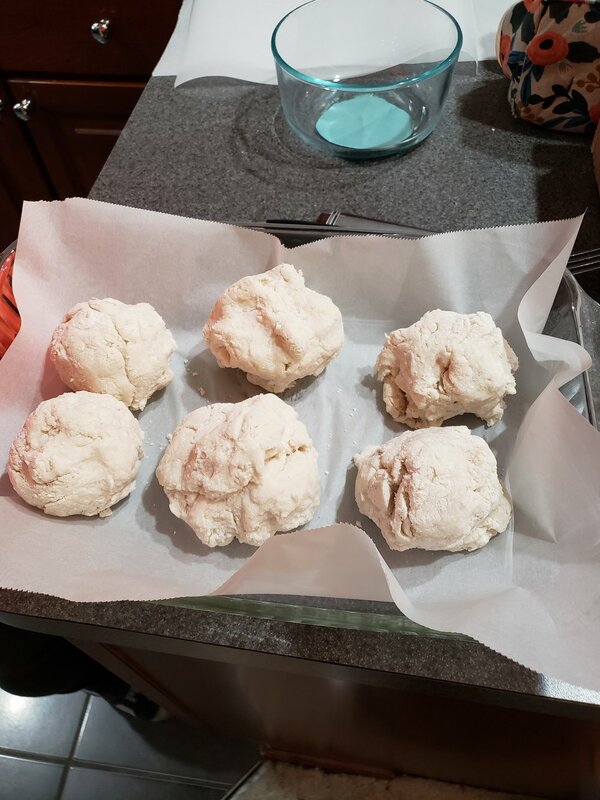 I wonder if I could incorporate some of my favorite Cup4Cup gluten free all purpose flour into this recipe for the next batch to see if I could get it less gelly like in texture and more dough like in the final product. 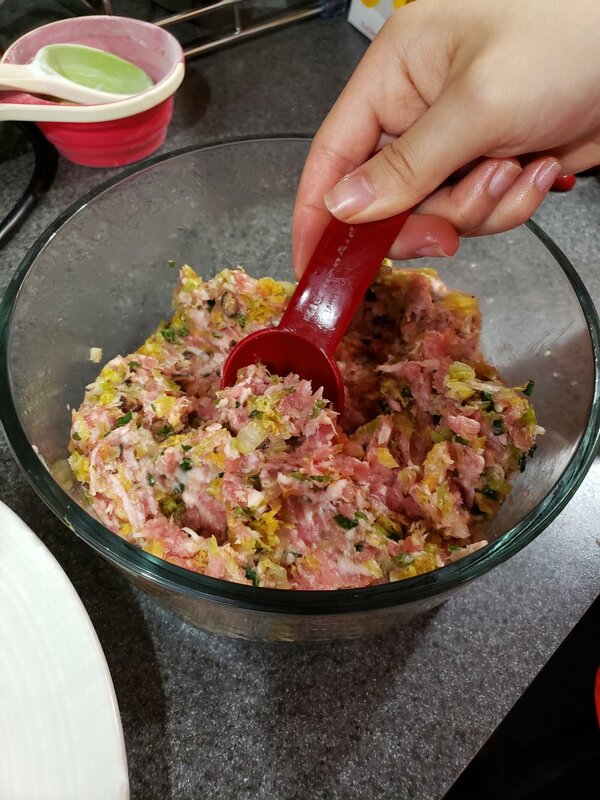 Overall, I’m happy I tried it and now have some frozen dumplings to make for dinner on these long inpatient days the next two weeks! ....and by Avocado Chicken Salad, we mean this recipe is essentially guacamole + shredded chicken :) I (Olivia) despise mayonnaise, so this is our take on "chicken salad" - it can be put on toast, eaten with tortilla chips, or eaten straight out of the bowl with a fork if you're feeling low-carb.... This recipe will serve 2 people if it's their main entreé and you give them carbs with it- or if you're Kyle, you probably could eat the whole thing if by yourself, regardless. Instructions: Remove pit and shell from avocado, mash it up until your desired consistency. Chop onion and cilantro, shred chicken, mix these into the avocado mash, add lemon juice. ENJOY. Return granola to the bowl; combine well with the remaining ingredients. Cool completely, then pack into airtight containers. Gluten Free, Egg Free, Dairy Free, Soy Free Gingerbread Cookies! Does it seem highly improbable that these cookies even taste good? We certainly had our doubts, but they were quickly dispelled as we baked up a batch of these delicious cookies! 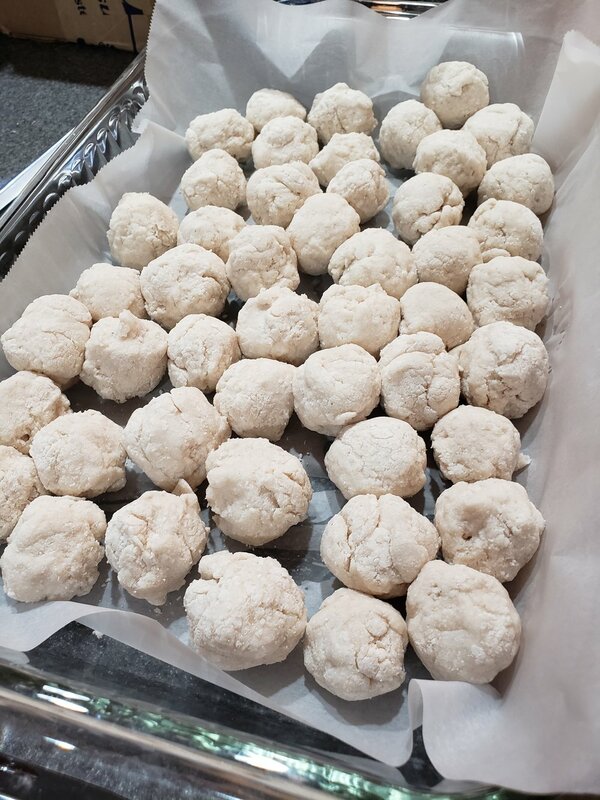 Using food processor, stand mixer, or hand mixer, mix in the earth balance until the mixture is crumbly and "like sand"
Place cookie on parchment paper lined baking sheet - these will expand slightly, so don't put them right next to each other! Repeat until all the dough is gone! Let cookies cool completely before decorating! Spread over cookies, or pipe icing onto cookies!